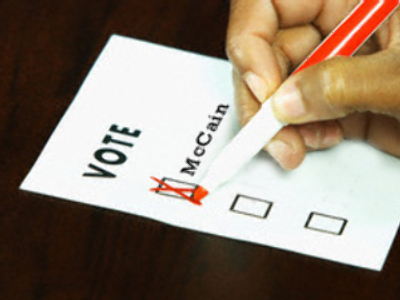 The survey also says McCain is gaining among whites and those earning less than US $50,000. The findings contrast with the majority of other opinion polls which show Obama with a strong lead. But some experts say that the presidential race tightened after the final live TV debate. With the election less than two weeks away, the battle for the White House is getting increasingly intense. McCain recently attacked the tax plans of his opponent, labelling them a socialist project aimed at the redistribution of wealth. Obama has rejected the criticism saying it just shows that his Republican rival is running out of ideas. Alexandra Acker, the executive director of the Young Democrats of America, says Obama's plans are a return to a fairer US. Obama Vs. McCain: who’s Top Cat?